Matt’s thirst for adventure developed from an early age as his family holidays progressed from camping trips within Australia to backpacking holidays in South East Asia. After completing his studies, his desire for new adventures took him to both North America and Europe where he has lived and travelled extensively before Latin America and Africa became his passions. 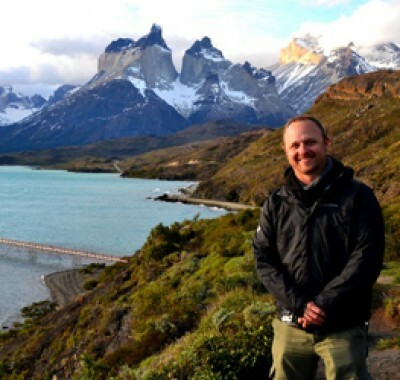 Matt has since undertaken many adventures in the region covering most destinations between Mexico and Cuba to as far south as Argentina and even Antarctica. Within Africa he has covered South Africa, Zambia and Zimbabwe with plans for further exploration later this year. His extensive knowledge of Latin America and Africa have further been enhanced through over 10 years professional experience in organising travel to the region for Australian and British specialist travel companies. This knowledge, passion and attention to detail means nothing is ever left to chance when organising your dream journeys. Having worked for a number of years in financial markets, Tim came to the realisation that there was more to life than numbers and spreadsheets. So he joined the travel industry to combine his passion for travel and adventure with helping others achieve their travel dreams. Having travelled to all 7 continents and lived in Australia, Brazil and the UK, different landscapes, cultures, tastes and rhythms of the world are what life is all about to Tim. The key to organising your perfect journey is specialist travel knowledge, and Tim’s got it in spades. So when you combine Tim’s vast experience with his desire to share some of the world’s most spectacular destinations with you, you can be sure you’re in good hands. Steve joined us at the very beginning to design our brand and website, and we haven’t been able to get rid of him. With a strong background in Design and IT he has come in quite useful. Based in Christchurch, he supports our NZ team and designs our marketing collateral. 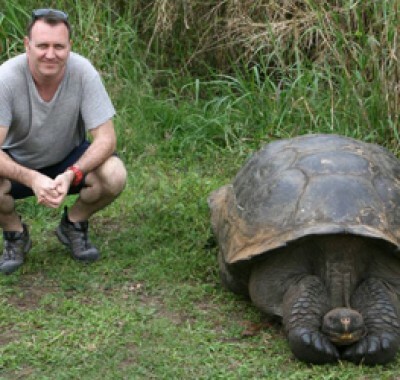 Steve’s favourite destinations to date are tied between Patagonia, the Galapagos, and the Ecuadorian Amazon (Napo), all for the amazing and different experiences they offered. If he had to pick one country he would choose Peru for its rich cultural history, and he says if he had to pick one city to recommend, he offers Rio de Janeiro as a city that ticks all the boxes. Ben started out his career in travel working for Tourism Australia, where he was lucky enough to travel to all corners of the country. He moved to London with the job a few years later after visiting Europe as a solo backpacker, and ended up promoting Australia to the UK and Europe for seven years. 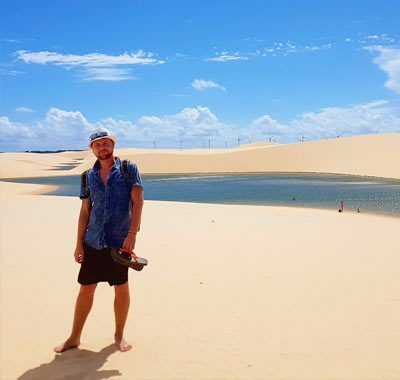 Upon returning to Australia, Ben worked for Destination NSW as their food and drink specialist before working as a PR & marketing consultant for a range of travel, food and drink clients. Ben joined the Eclipse Travel family permanently as Marketing Director in 2018. Using London as a base, Ben was able to explore much of Europe, with the most memorable trips being welcoming a New Year in Talinn, chartering a yacht with friends in Croatia, travelling around France for Rugby World Cup 2007, and driving from Sarajevo to Belgrade. Recent travel highlights include getting engaged in Mendoza, and going on safari in Tanzania before visiting the winelands around Cape Town for his honeymoon. Next on the bucket list is Mexico, Cuba, the US again (Dallas, Boston, Chicago), Peru and Patagonia! Rosemary’s love of travel and adventure was inspired from watching the Indiana Jones movies far too many times as a child. After studying Classical and Art History at University in Christchurch, she headed for Europe and the UK where she could indulge her passion for intriguing history, bustling cities and fantastic food markets. 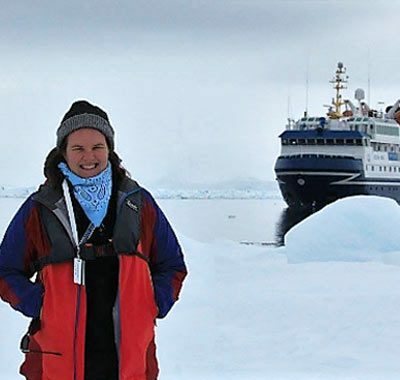 From cruising the Norwegian fjords, to kayaking in Alaska; from haggling at the souk in Cairo, to dancing the tango in Buenos Aires, Rosemary has over 15 years’ experience in the travel industry and has visited all 7 continents, with a recent expedition to Antarctica fulfilling a lifelong dream. With a passion for small ship cruising, Rosemary is planning her next voyage to the Arctic and Iceland and also has Namibia and Uganda land adventures on her never ending list of must-visit destinations. Tiffany joined the Eclipse team during a “mid-life crisis”. She had heard rumours that there were actually people out there that enjoyed their jobs and wanted to be one of those people. So after having worked in the banking industry for a number of years, she decided to put her real passion of travelling and planning holidays to good use. Tiffany fell in love with Latin America during her 4 year stint living in Chile and her extensive knowledge of the area stems from travelling extensively throughout South and Central America in that period. In recent years she has been lucky enough to experience unforgettable trip to the Antarctic Peninsula, Patagonia, the Atacama Desert, Iceland & Norway, Cuba and Panama – so will enthusiastically share these experiences with you. 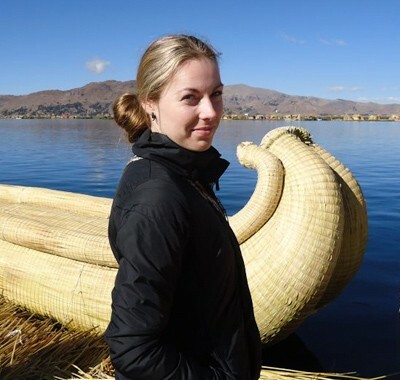 With her first overseas trip at one month old, Hilary was raised to have a passion for travel. She developed a particular interest in Africa which led her to complete a Foreign Affairs/African Studies Degree at university and live in Gaborone, Botswana as part of a study abroad program. Her travel career started in 2010 when she left her hometown of Washington, DC and moved to London to work for an Africa travel specialist. In 2013 she relocated (yet again!) to Sydney, continuing her career in Africa travel and completing a Master of International Business in 2017. So far, Hilary has been fortunate enough to travel extensively throughout Kenya, Tanzania (including Zanzibar), Rwanda, Botswana, South Africa, Namibia, Zimbabwe, Zambia, Egypt and Morocco. It is impossible for her to pick a favourite destination as they are all so different and wonderful, although Botswana does hold a special place in her heart after living there! Her 5 favourite African experiences to date have been visiting the mountain gorillas in Rwanda, bungee jumping at Victoria Falls, hiking up Dune 45 at sunrise in Namibia, running the Safaricom Half Marathon in the Lewa Wildlife Conservancy, and witnessing a group of lionesses strategically take down a buffalo in the Okavango Delta. 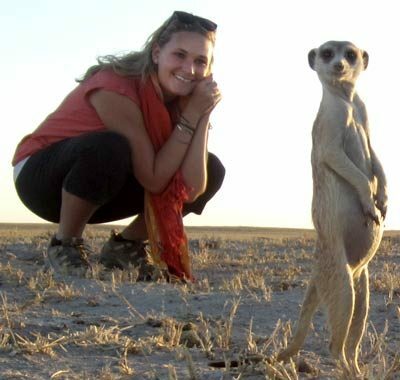 Hilary loves sharing her passion and knowledge of Africa with anyone who will listen. Her extensive product knowledge, organisation skills and attention to detail allow her to design seamless tailor-made itineraries that blow her clients away! 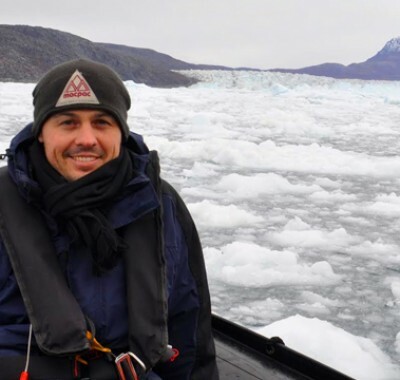 Luke has lived, worked and travelled extensively throughout the world and these experiences give him the perfect opportunity to use his expert knowledge for the benefit of his clients. Luke began his career in the travel industry back in 2004 with a ski company in London. After several years of travelling in Europe and North Africa, he spent some time backpacking through South East Asia before moving to Canada. From there a one way ticket to Mexico gave him his first taste of Latin America which left a lasting impression. This trip also took him through Guatemala, Honduras, Peru, Bolivia and Chile, before ending in Argentina some 7 months later. He has since returned to spend more time in Peru and Argentina as well as Ecuador and Colombia. When asked Luke says it’s hard to pick a favourite place, but says Lake Atitlan in Guatemala, the Amazon in Ecuador and the Caribbean coast of Colombia are right up there! Next up Luke says he would love to get back over to explore Patagonia, Antarctica and do some more snowboarding in the mighty Andes. A self described travel enthusiast, Alisha’s travel “to do” list is forever growing – the more she travels, the more she wants to see! She has a soft spot for Africa after a recent trip experiencing a mix of overlanding and camping, luxury lodges and self drive. Her highlight would have to be a tie between viewing elephants from her private plunge pool at the exclusive Sabi Sabi Earth Lodge, star gazing in a basic camp in the middle of the Okavango Delta and taking in the alien landscapes of Sossuvlei in Namibia. Another favourite destination is Mexico with its colour and vibrancy – Mexico left its mark on Alisha so much so she is currently planning her honeymoon there. With a great mix of beautiful beaches, colonial towns reminiscent of Europe and mouth watering cuisine what is not to love? Before starting her career in travel Alisha worked as a professional photographer and spent 3 years both living and working in the UK, USA and Australia. Finding a career that allows her to express her passion for travel is a dream come true. Alisha loves helping people realise their own travel dreams and living vicariously through others experiences. Getting to know her clients and what’s important to them is something she really enjoys, and she loves adding tailored suggestions and hidden gems to her clients itineraries for something different and special. One of her favourite parts of working in travel is hearing peoples’ stories and experiences, as every experience is so different – there is no universal truth or one size fits all option when it comes to travel! She says that there is nothing more satisfying than a client popping in after their journey with tales to tell of the adventures they have had. For Alisha travel is inspiring and informative – it allows you to learn more about the world around you, and in the process more about yourself. A seasoned traveller, Karen has been to all seven continents and over 60 countries worldwide and is keen to share her passion and experience with her clients. In her role as Travel Designer, Karen helps her clients bring their dream holidays to life. Over the years Karen has visited almost every distant nook and cranny of the globe and loves to tell you all about her trips – whether it’s safaris in Africa, Polar expeditions, wildlife sightings, cultural exchanges, and maybe a wine or two at the same time. When asked her favourite experiences she says “Antarctica, especially South Georgia, Russian Far East Arctic with over 53 polar bears, the Galapagos Islands (with wildlife experience only comparable to Antarctica), and seeing the Gorillas in Rwanda”. Get comfortable as you will be in for a treat with Karen’s tales and skills in organising your perfect adventure. 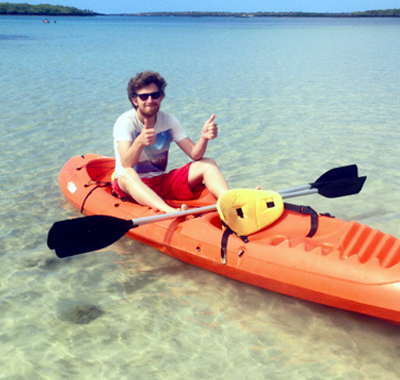 Blake’s love of the natural world has taken him to all over the globe. The first time he left Australia to travel, he didn’t come home for almost 2 years! Blake has worked in the travel industry since 2010, taking time off only to work as a scuba diving instructor and of course to travel more. He has lived on the coasts of Mexico and Egypt’s red sea (among others places) and has had the chance to explore many regions in depth – both on land and underwater. As an animal lover, Blake is lucky enough to have swam with whales and sharks, but recalls having somersault competitions with sea lions in the Galapagos as his most fun underwater experience. Having travelled all the way from Chile to Colombia, Blake rates the deserts of Chile and Bolivia, the jungles and mountains of Peru and the coast line of Colombia as some of the most stunning places on Earth. While Mexico may always be at the top of Blake’s list, he has some high expectations for Brazil which is next in sight. Blake’s first hand knowledge and passion for travel will have you visiting all the places on your bucket list as well as exploring some hidden places you’ve never heard of! Mauricio is the latest Peruvian to join Eclipse Travel and comes to us after years of working in the hospitality industry in some of South America’s best hotels. His passion for travel and excellent customer service will ensure you experience a wonderful trip to South America! 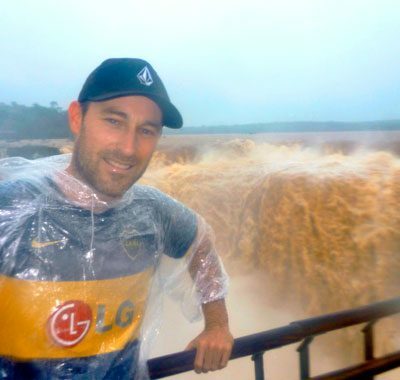 Mauricio’s favourite destination is Patagonia, but has a large bucket list including Iguazu, Antarctica, Colombia, and the Lake district in Chile/Argentina. When asked he says he is “interested in music, snowboarding, travel, and fooooood haha”. A native Spanish speaker, Mauricio is also fluent in English, and professes to speak some basic German. Zimbabwean born Anton got his sense of adventure from a young age. After completing a business degree he embarked on two years of working and travelling abroad, which is when he realised the travel industry was where he belonged. 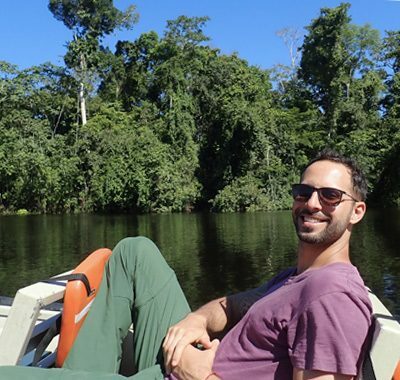 Anton’s passion for South America began after spending 6 months teaching English in Chile and experiencing the amazing culture and beauty of the continent. 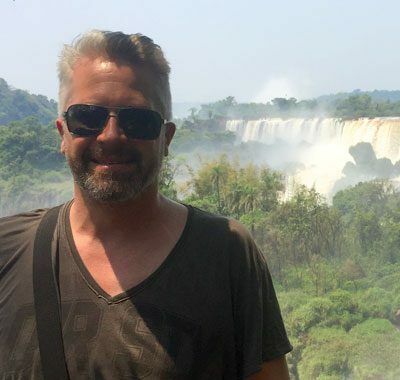 The Galapagos, Iguazu Falls and the Atacama Desert rate among his favourite sites in South America. He has also travelled through Central America and safaried through Africa. Anton will help make sure your itinerary lives up to and surpasses your expectations. The atlas has always been the most prized book on the shelf for Tig, an avid travel addict since a young age. She took her solo trip to the UK at 14 and since then she’s visited 60 countries in 15 years. After university she booked a one-way ticket overseas, backpacking the length of South America before living in the USA and the UK for three years. In 2014 Tig fulfilled a lifelong dream to be an overland leader like her Dad was in the 1970s. For four years she led groups around South America, from Colombia down to Ushuaia and up past Rio to the less travelled Guianas – clocking up over 160,000km on the road. The best bits according to Tig? The majesty of Torres del Paine National Park in Patagonia, the fascinating daily life of an 8-day Amazon river boat trip and the indescribable chaos of Rio Carnival! Now the proud owner of an awesome niece and nephew, she’s decided it’s time to unpack her backpack, buy furniture and settle down in Sydney. Despite this the travel to-do list remains full – next up is Iran, Uzbekistan and Botswana and hopefully one day Antarctica. Camilla started out with Eclipse as an intern back in 2014, moving into our product team in 2019 after heading up our Reservations and Administration team. After finishing school, she jetted off to the UK for 12 months working as a teacher’s assistant in Birmingham and this is where her love affair with travel began. She made the most of her holidays while over there, making sure she travelled to a new destination each time and eventually ticking off most of the must-visit countries in Europe: France, Spain, Italy, Germany, Netherlands, Turkey and Ireland. She has also been lucky enough to visit the USA, Vietnam, Botswana, Argentina, , Bali, Antarctica and of course, our friends across the ditch. When asked what her favourite destination thus far has been she said “Hands down, Antarctica. It’s hard to put in to words how magical it is. You just have to go there and see it for yourself”. 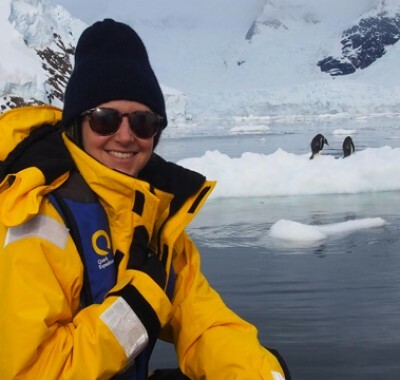 Camilla’s keen attention to detail and passion for the industry and destinations will ensure that you trip is seamless and a true adventure of a lifetime. Originally from Slovakia, Lenka lived in London for 4 years before moving to Australia. She always dreamt of being a travel agent – imagining the excitement of planning holidays and learning about different destinations around the world. 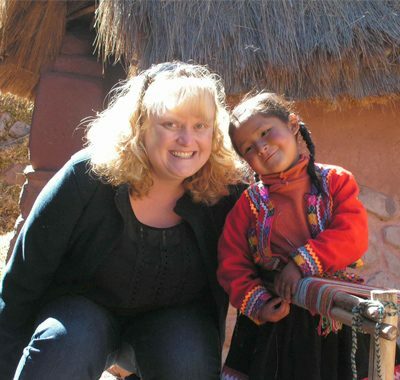 Since starting in the travel industry 10 years ago, she hasn’t looked back. 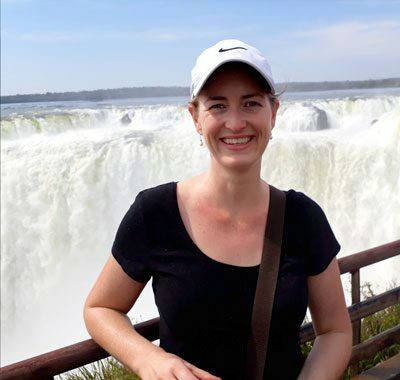 It was after her first trip to Africa that she decided to specialise in this incredibly diverse continent and she joins the Eclipse team with 5 years of African travel experience. Her first trip to Africa took her to Kenya, Uganda and Rwanda- where she got to meet the amazing mountain gorillas. On subsequent trips to Africa she has explored South Africa and Zimbabwe. When asked, the thing Lenka loves most about Africa is that the experiences you have there are like nowhere else in the world. “You get to see amazing wildlife up close (sometimes closer than you would like! 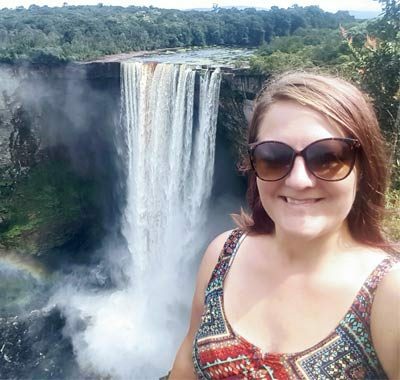 ), experience some interesting cultures, meet lovely locals and see some wonderful and unique landscapes.” Next countries on Lenka’s Africa list would be Botswana, Namibia and Madagascar! 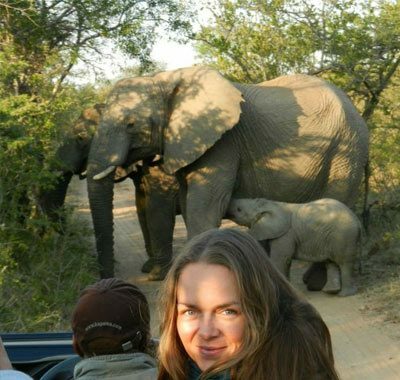 Whether it’s your first trip to Africa or you are already hooked and looking to discover another part, Lenka looks forward to sharing her passion with you and helping you plan your next unforgettable adventure. Vivien was only 18 years old when she left her home country Germany to go backpacking around Australia, New Zealand and Thailand on her own. From this moment travel was no longer a side factor in her life, it became a passion. 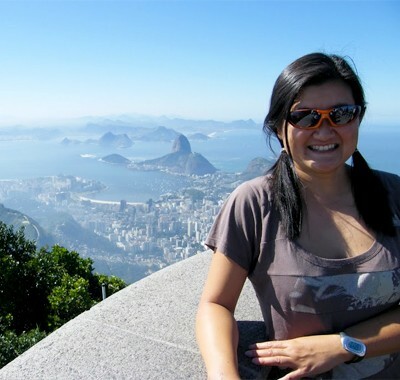 She decided to stay in Australia to complete a diploma in tourism and when she got her first job offer from a travel wholesale company based in Sydney she realised very quickly that she can now call Australia her new home. She started as a Documentation Consultant, proceeded to be a Reservations Sales Agent and finally got promoted to Product Specialist. In 2016 Vivien realised it was time to tick off a lot of destinations on her bucket list before her daughter would start school, so she took her back then 4-year-old daughter and they travelled 6 months around the globe. Her highlights included the Capilano Suspension Bridge National Park in Vancouver, the biggest Rodeo on earth – the Calgary Stampede, the beautiful scenery of Banff and Jasper, the Niagara Falls in Toronto, a Disney Cruise in the Caribbean (Bahamas, Jamaica & Mexico), enjoying the beach life in Miami, cruising around the Greek Islands, driving around Italy with a campervan, a desert safari in Dubai and of course her absolute favourite destination South America where she travelled on her own. Vivien spent 6 weeks in South America and absolutely fell in love with it and realised she will need to come back as 6 weeks are way to short! 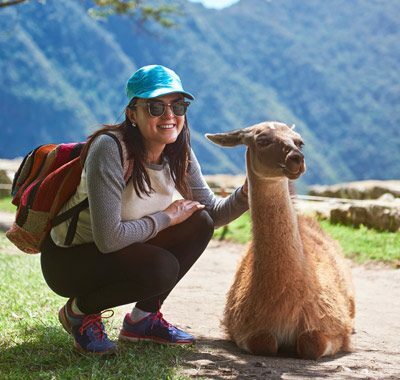 Highlights included a Galapagos cruise, the salt flats in Bolivia, mountain biking the death road – the world’s most dangerous road, hiking the 5-day Inca Trail and climbing up the breathtaking Rainbow Mountain in Peru. Vivien has travelled to many countries and she joined us because she has an absolute passion for the destinations we specialise in and can mirror herself in Eclipse Travel! 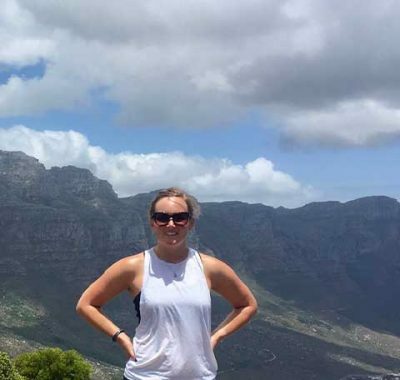 Leanne has always been passionate about travel, so it was inevitable that she decided at an early age to obtain her Diploma in Travel and Tourism in her hometown of Solihull in the UK. Since then her desire to explore and experience new places and cultures has never diminished and has ultimately led her to settle in Christchurch, New Zealand. 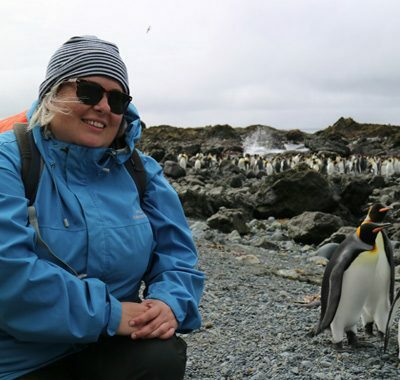 Leanne is fortunate enough to have visited all 7 continents but rates her recent visit to the Subantarctic Islands and the Ross Sea region of Antarctica as the most significant. This she says, is mainly due to the wonderful wildlife in the region which she particularly enjoyed observing at close quarters. Her favourite places in the world (so far) are Argentina and Macquarie Island. Next on her bucket list is Cuba! Leanne’s passion for wild places combined with her keen eye for details will ensure you have a worry free trip on your next Eclipse Travel adventure. Aya’s first solo trip was the big move from Japan to Australia at the age of 16, carefully planned over a year with a lot of help from her supportive family. Over two decades later, Aya considers Australia her home. Aya’s curiosity has driven her to see the world as long as she can remember. Once something spikes her curiosity, she finds a way to see and experience it for herself. This has led to many adventures in Africa, Asia, Europe, North & Central America, the Middle East, and the South Pacific Islands. Her travels were inspired by a love of the ocean and nature, which grew even more while travelling on a 100-day round the world cruise as an interpreter for local guides. Aya then spent some time in South East Asia exploring beneath the sea as an underwater filmmaker, dive guide, and scuba diving instructor, before moving to South Africa for the life changing experience of encountering true wildlife. 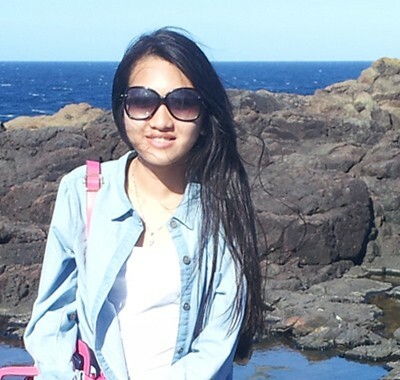 Kannika originally hails from Cambodia, and discovered her interest in for travel after her first short trip to the Gold Coast. Inspired and driven by the amazing experience, it ignited her desire to explore the world and pursue a career in travel and tourism. 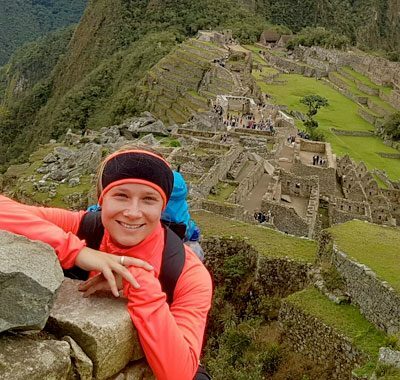 After the completion of her study in tourism management, Kannika took a major first step into her travel career as she joined us in our accounts and product team. Kannika’s love for travel combined with her impeccable organisational skill will ensure your next adventure runs like clockwork. Hamish is our IT Manager. At Eclipse Travel our carefully selected and configured systems help us to be as efficient as possible so we can spend more time with you, the customer. Hamish makes sure all our back end systems run smoothly and oversees the development and maintenance of our IT strategy. 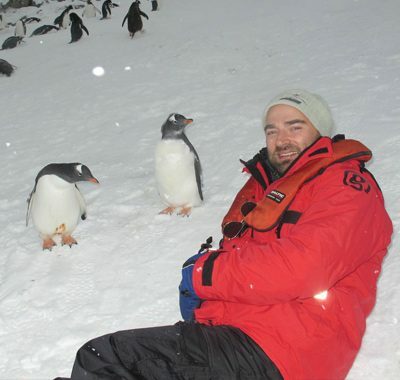 When he’s not writing code he is also a keen explorer and has travelled extensively through South America and can be seen here trying to blend in with locals in Antarctica. Jane works in our online chat department and is ready to answer any of your queries or put you in touch with the most appropriate specialist in our team.